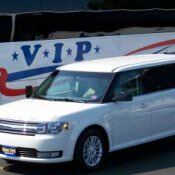 VIP has a fleet of Prevost Motorcoaches, seating up to 55 passengers each. The coaches have ADA accessibility, restrooms, spacious luggage compartments, reclining seats with plentiful leg room, DVD monitors, USB outlets, movie & music licensing, seat belts and WiFi. 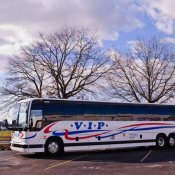 Not only are these coaches luxurious & comfortable, but they have state of the art engine systems, geared toward being environmentally proactive. 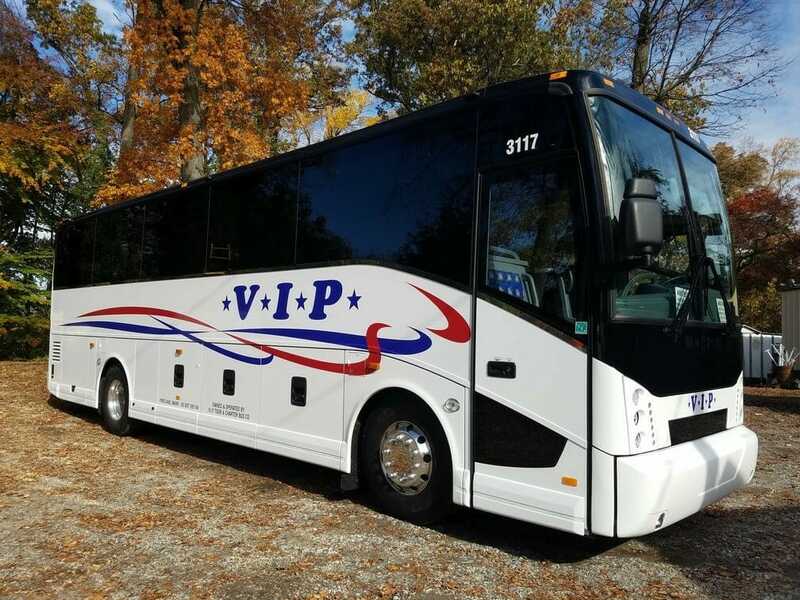 Our 38 Passenger Mid-Sized Deluxe Motorcoach has all of the amenities of the full-sized coach, but is smaller in size to accommodate your group appropriately. 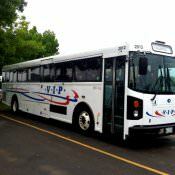 VIP offers Activity Coaches, seating 41-44 passengers, either ADA accessible or with a restroom. 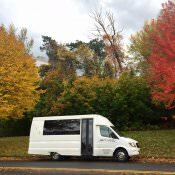 Add a touch of class to your next event with our 14 passenger Mercedes Sprinter. Enjoy comfortable leather seating, with rear luggage storage, DVD monitor, USB outlets and a mini cooler. Perfect for small groups, the Ford Flex can accommodate up to six passengers. Please feel welcomed to submit an online request to receive a quote or call & speak with a representative to discuss your travel plans.